This presentation will be led by the Chief Marketing Officer & the VP, Europe at Imaginatik. Innovation is quickly developing into an established business discipline, critical to organizational success. As the Chief Innovation Officer (CINO) becomes a mainline corporate leader, he or she will increasingly be trusted to drive the growth agenda, while setting corporate culture and climate. At the same time, CINOs will also feel heightened pressure to deliver clear and consistent results directly to the top and bottom line. Drawing upon Imaginatik’s nearly 20 years’ experience helping organizations build sustainable innovation discipline, Chris Townsend and Geoff Carss will highlight a handful of key areas where today’s CINOs must seize opportunities to build their department into key enablers of enterprise success, while developing their own roles into that of a mainstream corporate leader. Chris heads Imaginatik's global marketing function, and is responsible for all aspects of Imaginatik's go-to-market strategy and marketing operations. Chris has spent nearly a decade as one of the world's leading experts on innovation management, having developed deep domain expertise in both innovation consulting and innovation software. 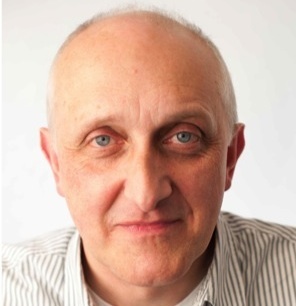 Geoff is Vice President - Europe at Imaginatik, where he leads business development and service delivery across Europe. Geoff brings to his role a broad background in innovation solutions and consulting, spanning a 20+ year career working with industries including energy, financial services, telecom, and government. Geoff has held senior roles at Ernst & Young and IBM, where he has worked with major clients in the areas of new business models and organizational change.